I found this cnc machined aluminum T jet top plate on the internet. It is an interesting idea as it keeps the gears aligned better. 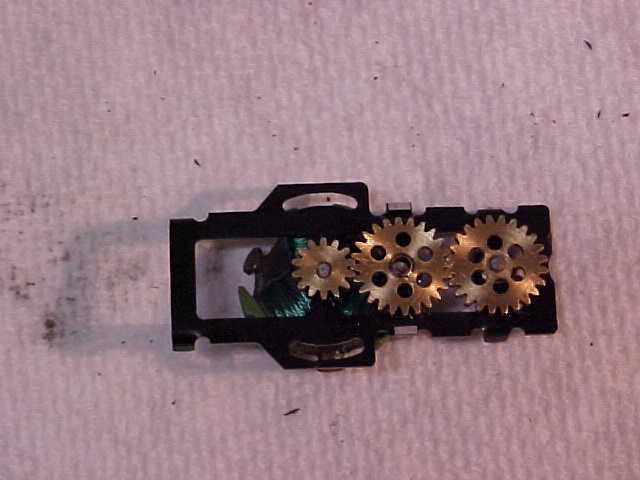 It uses brass bearings which appear to hold the gears in better alignment. The same gears etc. were used for both tests. before and after installing the plate. MPH was almost identical with stock and aftermarket plate, average 22.88 vs 22.84 so almost no difference was shown there. Have been eye ballin' something similar on ebay and was wondering how effective they were. I think .01 seconds can be huge. I have one of these that I have been saving. what class would they be legal in? Dave Thanks for sharing your tests. I got a couple of them but haven't had a chance to play with them yet. I was wondering how they would perform ? Now we know Thanks. I hope they make them for the 4 Gear in the future ? They look like they might be legal in Super Stock, Super Comp & Unlimited according to my reading of the rules. Could anyone clarify that one way or the other? My understanding of the rules is that top plate is legal in Super Comp & Unlimited, all the other classes the top plate and chassis must match? Pancake Super Stock needs to be updated to read more like Stock and Comp. This top plate would NOT be allowed in Super Stock but would only be allowed in Super Comp and Unlimited as Kiwidave stated. Stock thru Comp...top plate must match and minimal chassis mods. In my opinion this is an Unlimited part. It's someone's fabrication of an original part. Looks like the chassis restrictions are reversed between Super Stock, which has no restrictions, and Comp which has restrictions?? No Dave they are not reversed. I updated the Comp rules to reflect the PSO Comp rules due to the confusion we were having on the PSO vs Comp rules. Remember we talked about that and I told you when I did it. Comp has always been that way.....very little or no mods to the chassis or top plate. That top plate should not be allowed in Comp. Only Super Comp and Unlimited. No problem it is fairly expensive and provides minimal improvement. Myself and several others have made similar mods to the 4 gear top plates in an effort to have something more durable to handle the power we were giving them. But that was Unlimited Pancake. I know Sam did a lot with the bushings and relocating the posts so other gearing could be tried. It was fun to see what everybody was doing. That went on for a few years. I still have both of mine. Getting ready to put one of them in the .3's. This has put an idea in my head for maybe a Super Comp / Unlimited Tjet gathering later in the year?? May not be many cars......but maybe there would be? Sounds like several racers have these CNC top plates and need a reason to use them. Plant the bug early to give everyone a chance to work on their creations? I don't know. Something to think about maybe. I would definitely build one. the "outlaw" t-jets that I have raced (still have one built by Sgrig) similar to the ones Al Galinko used to build, reach speeds of 70+ MPH. you really do need an extended shut down for those. 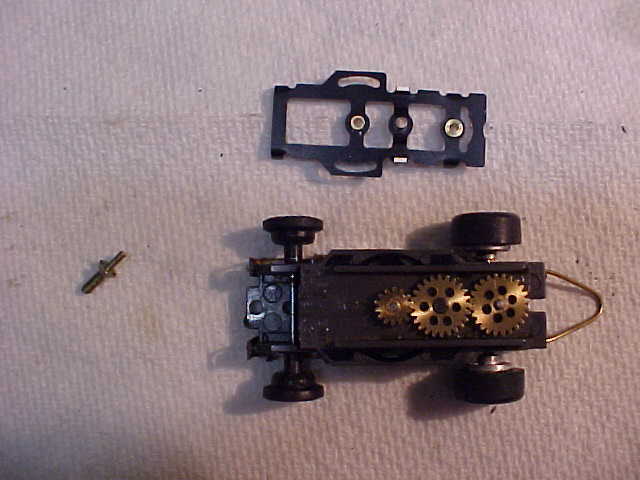 of course, they have neo motor and traction magnets, 1- OHM arms and all the gears must be soldered on shafts. these are also "wet comm" setups which really require personal attention. I know the intent of what is being suggested is not that radical, but you do get into some money and time spent building, testing and refining these type cars. I would certainly be interested in getting involved. however, I am concerned about shut down. 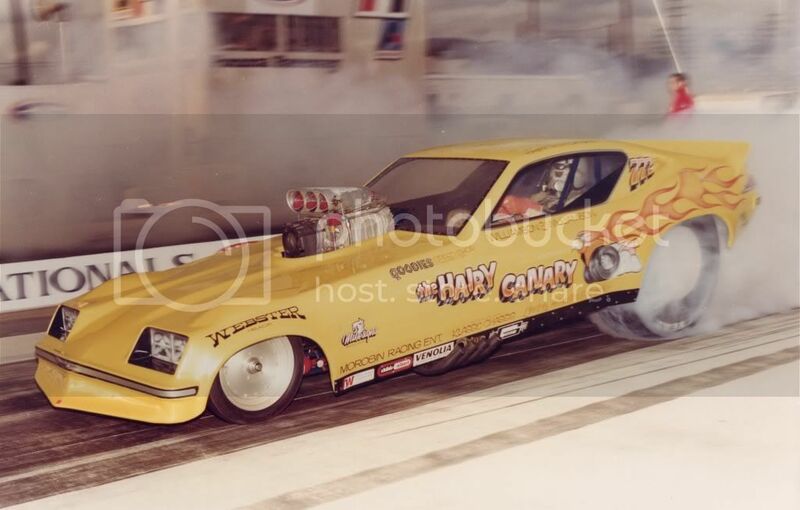 I have 6 feet of steel bar shut down on my 1/8 mile and at 20 volts, Dave's cars go into the "sand trap". and I think those were stock AFX or the like. so, investing in such a build would be fruitless if it were to get broken in the act of stopping. please, let's discuss this. I am not trying to be Mr Know-it-all or cause controversy and certainly not put a damper on what would be a great showdown. let us just consider all aspects of racing these little devils. That's why I threw in Super Comp. I knew the first thing to be brought up would be shut down. It was just a thought for a venue that would allow the use of the top plate you guys have. Those classes or many of the modified classes do not run very often and it's nice to get one in every once in awhile. I can run Inline Super Comp comfortably at my track even with my short shut down. So I know Tjet SC would be ok.